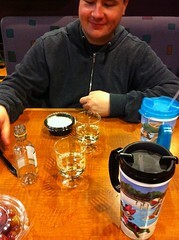 Another edition of our New Years 2012 Trip Report! The day starts off with us heading to Downtown Disney to use our 20% off coupon if you made your purchases before noon at select Disney locations. World of Disney was one of those stores we could use it and figured it would be the best place since it has the most selection of merchandise. Loaded up on gifts for everyone and even bought myself a few things, you can’t go shopping and not spoil yourself at least a little bit. 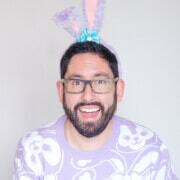 Normally I’m not one to try on clothes, especially if it’s busy. I’m sure some people can relate. It was early in the morning so there was next to no one in the store. Figured might as well try on the clothes I wanted since I wasn’t sure what size I was anymore due to my weight loss the past year. 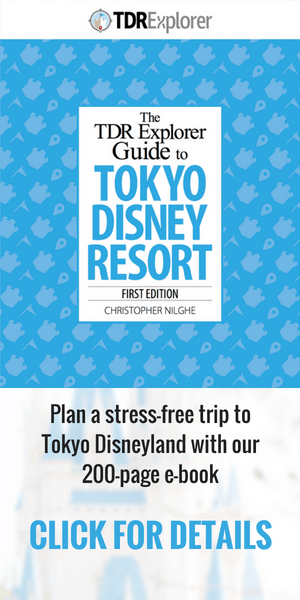 We had everything sent back to our resort (seriously take advantage of this free service if you are staying on resort) and it was off to Disney’s Animal Kingdom! We wanted to experiment with the bus system and the best way to get to AK from Downtown Disney. Ended up taking the bus to Port Orleans French Quarter then transferring to a bus to head to AK. If there’s a more efficient way of doing so, please leave a comment I’d love to hear it. First order of business is of course Expedition Everest. 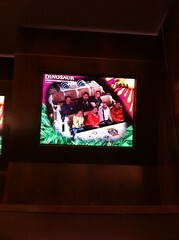 We grabbed fast passes for the early afternoon and made our way over to Dinosaur. 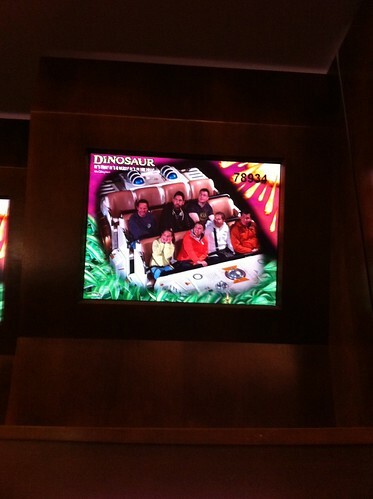 I love how Dinosaur is pretty much exactly the same was Indiana Jones in Disneyland. For a quick breakfast snack we grabbed a cookie, not something mother would approve of but we were hungry OK! Tried as hard as I could to have a poker face but it was completely dark and it still surprised me. 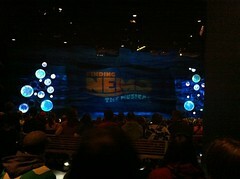 We wanted to catch the first showing of Finding Nemo The Musical. What a fantastic show, it really is a Broadway quality production. 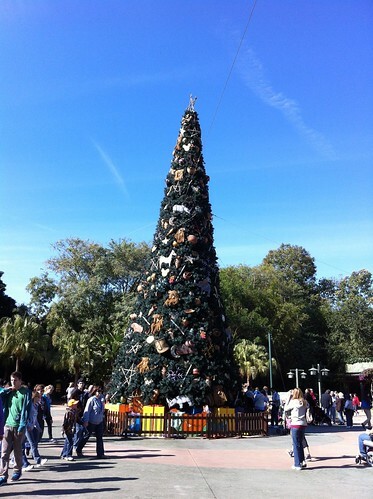 I’d say this is a must do if you are heading the Animal Kingdom. 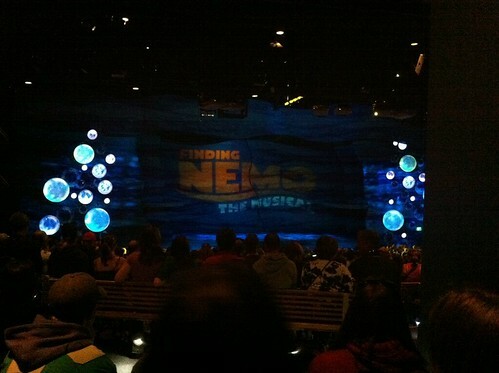 It lasts for about 45 minutes, one of the longer shows in Walt Disney World. Lunch was at Pizzafari and it’s hard to eat there without having pizza. It was fairly busy but we found a small area near the back of the restaurant where there was practically no one there. Got to enjoy our lunch in peace! 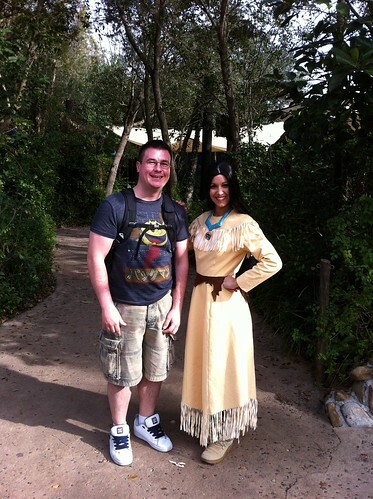 Pocahontas is one of my favourite Disney Princesses so when the opportunity to have my photo taken with her was presented I had to take it. She was inside Camp Minnie and Mickey just before you get to the Festival of the Lion King. I always enjoy interacting with the characters and see what type of answers or reactions I’m going to get. She was fantastic! After visiting with Pocahontas it was time for our Fast Pass engagement with Expedition Everest. This is my absolute favourite attraction in Walt Disney World. Many of you who have read my past trip reports already know this. 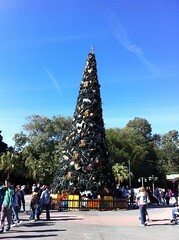 After our mishap with the Yeti we went and grabbed a good spot for Mickey’s Jingle Jungle Parade. 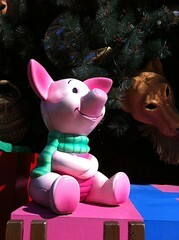 Today was the final day they were showing this version of the parade before reverting back to the normal version. Thankfully we got perfect viewing in the shade! When Chip went by he saw my Chip Lanyard and ran over to me and grabbed it to try and make it squeak. He was successful! The cast members around him kept pointing at me saying how much it looks like him! I quite enjoyed the parade, these are my favourite part of visiting any Disney Park. There’s something about the music and dancing that just puts me in my happy place! 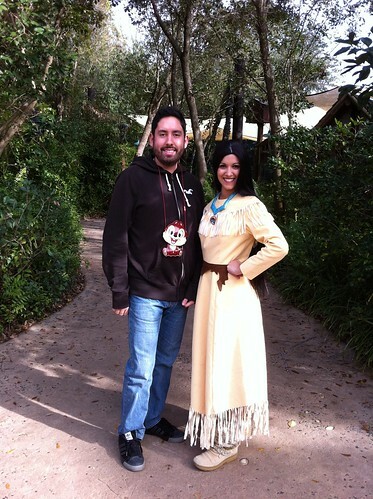 Before we left we took a photo of me sitting in front of the Animal Kingdom entrance. Comparing it to our first trip, you can see the weight loss that I’ve accomplished in that time span. We headed back to the Resort then we headed to the Outlet stores for some more shopping! We also had to stop at McDonalds for dinner. Once we got back to the Resort we decided to be classy and have some wine in plastic cups before turning in for the evening. Tomorrow we end up having dinner at Teppan EDO with a very special Cast Member, all by chance! Make sure to come back for the next edition! I love hear hear feedback so if you have any questions or comments please leave them below!